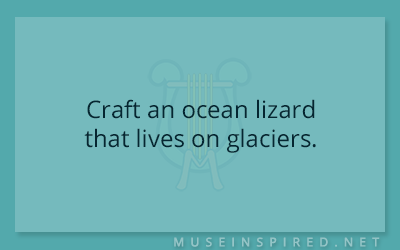 Crafting Creatures – Craft an ocean lizard that lives on glaciers. Fabricating Flora - Create a coral with vibrant hues and psychedelic properties if ingested. Crafting Creatures - Craft a creature covered in both scales and fur.